It is commonly said that joint plaintiffs must be represented by the same solicitors. That is true to a point. 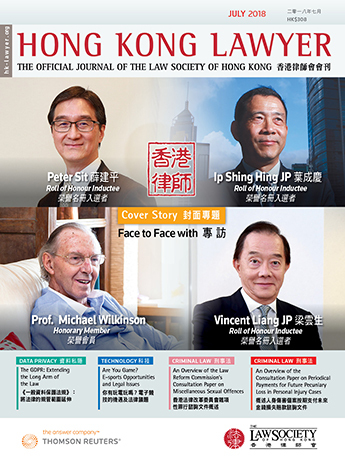 However, the courts in Hong Kong have an inherent power to grant permission for separate representation ("co-counselling") of joint plaintiffs where good reason is shown why an exception should be made to the general rule. The rationale for a general prohibition against co-counselling is sound and rooted in the practical problems that co-counselling may give rise to. For example, co-counselling increases the risk of different strategies between joint plaintiffs and quarrelling in the face of the opposition (Hong Kong Civil Procedure 2018, Order 15/4/3, commentary). This would do nothing to further the underlying objectives of the court rules or the administration of justice. Therefore, the recent decisions of the High Court in Noor Maritime Ltd v Calandra Shipping Co. Ltd, culminating in the judgment of the court dated 23 May 2018 ( HKCFI 1136), are an interesting example of where co-counselling was exceptionally permitted. In this case one firm of solicitors acted for the plaintiff on the instructions of the hull underwriters and another firm acted for the plaintiff's liability underwriters (the P&I Club – "Protection and Indemnity") to defend the defendant's cross-claim. Therefore, the first firm had authority from the hull underwriters to act on the claim but not from the P&I Club on the defence to the cross-claim. The two underwriters were, in effect, the real entities with an interest in the plaintiff's claim, albeit with different rights. The hull underwriters with a right of subrogation; the P&I Club with a right to represent the plaintiff derived from the P&I Rules. No conflict of interest appears to have existed between the two underwriters. For example, if the hull underwriters succeeded on their claim, the defendant (or its underwriters) would be liable for damages; if the defendant succeeded on its cross-claim, the P&I Club would be liable to pay. As the court noted (at paragraph 26 of its judgment) such an "allocation of insurance" among different insurers is normal in admiralty cases. While the order for co-counselling is exceptional it reflects a recognition by the court that the two underwriters and their solicitors had agreed to co-counselling and, in the circumstances, it was unfair to force one of the underwriters to retain a law firm not of their choice. There is also the practical point that, although a master had refused a co-counselling order, the appeal to the judge was a hearing anew with (as sometimes happens) possibly fuller and more authoritative legal submissions – not to mention some good lawyering on the appeal.